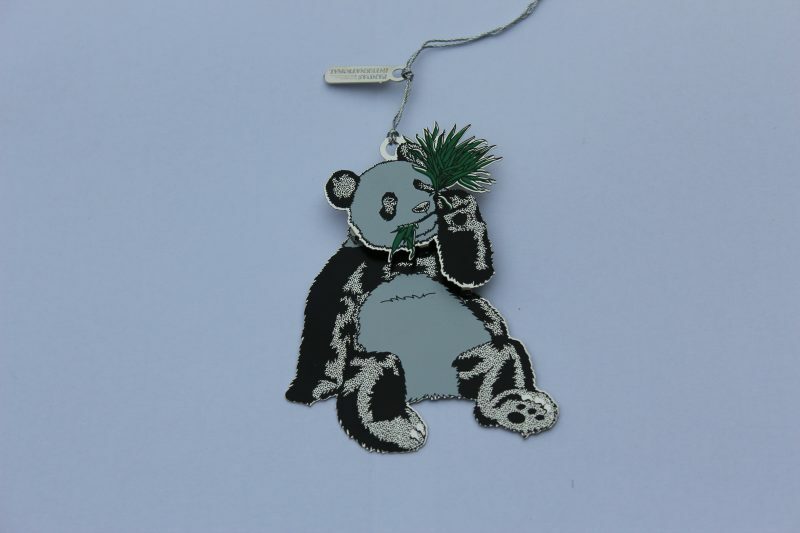 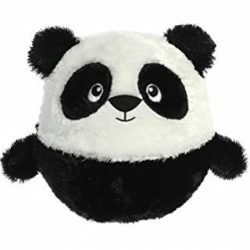 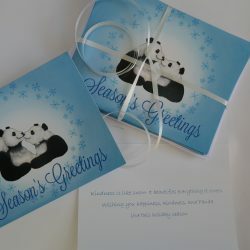 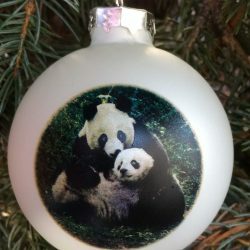 Beautiful metal 3D Panda ornament. 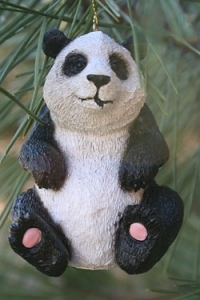 Measures 3″ in height and 2″ wide. 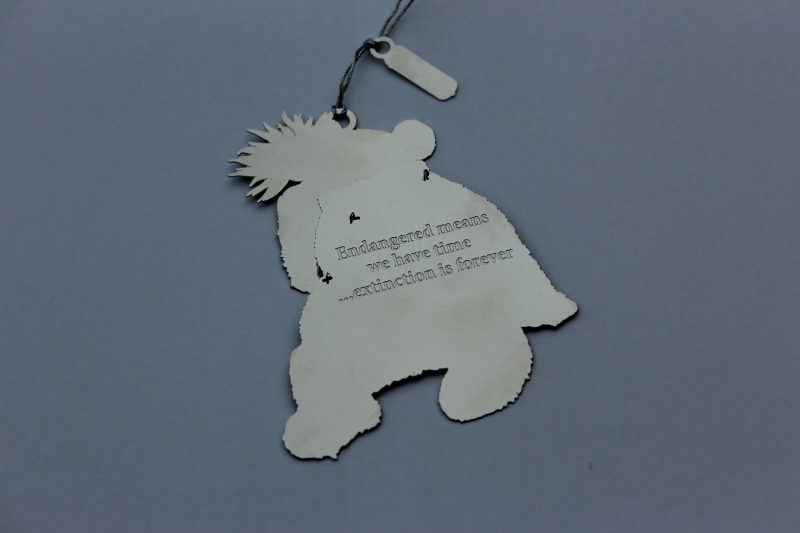 Back is engraved with “Endangered means we have time, Extinction is forever.” All ornaments come in a green box.